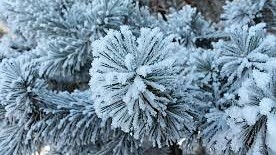 The mission of the Evergreen Shelter Program is to provide shelter, a hot meal, and compassionate interaction to individuals and families experiencing homelessness on cold weather nights when the temperature is below 32 degrees. EChO is able to offer this program through partnerships with Evergreen-area faith organizations and community volunteers. 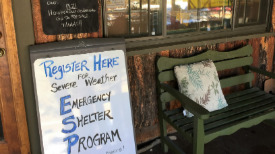 To register, call EChO at 303-670-1796 and ask for a Shelter Intake Appointment or stop by the EChO Food Bank located on the grounds of the Church of the Transfiguration at 27640 Hwy. 74, Evergreen, CO 80439. HOW DO I ADD MY NAME TO THE ROSTER? After your Shelter Intake Appointment and once your are pre-registered for the shelter, you can add your name to the roster by calling 720-598-2653 (720-598-COLD). WHO DO I CALL IF I NEED SHELTER AND ECHO IS CLOSED? Individuals needing shelter when EChO is closed should call the Sheriff non-emergency phone number at (303) 277-0211 or call the Shelter Hotline number at 720-598-2653 and leave a message. A shelter representative will call you back. 1. All guests' personal items will be locked up for the night. 2. All guests will treat each other and staff with respect. 3. All guests are expected to assist with the clean up of the space. 4. No alcohol, marijuana, illegal drugs, or weapons are allowed. 5. All guests must be registered and on the roster to stay the night. We want everyone to feel comfortable. Your cooperation is important. The Evergreen Shelter Program is run by caring volunteers like you. 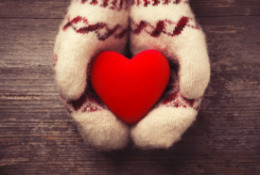 Please consider volunteering for this much needed program so that EChO and participating faith organizations may provide a warm and safe environment for families and individuals who do not have shelter when the temperatures dip below 32 degrees. 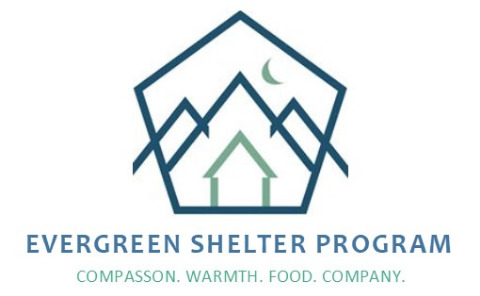 To learn more about ESP, how to volunteer, upcoming events, and training please go to the ESP Facebook page at https://www.facebook.com/EvergreenShelterProgram/. 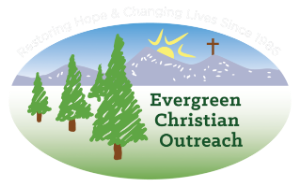 Please call 303-670-1796 or send us an email at ESP@evergreenchristianoutreach.org to learn more about this very important program. Thank you very much for thinking of those in need. Be sure to select "Emergency Shelter Program" under "Donation Details". 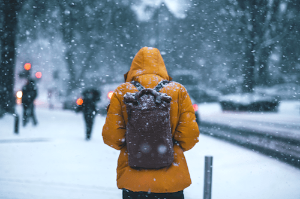 Your donations make it possible for EChO and our community partners to provide shelter, a hot meal, and compassionate interaction to individuals and families on freezing nights to those in need. Thank you!